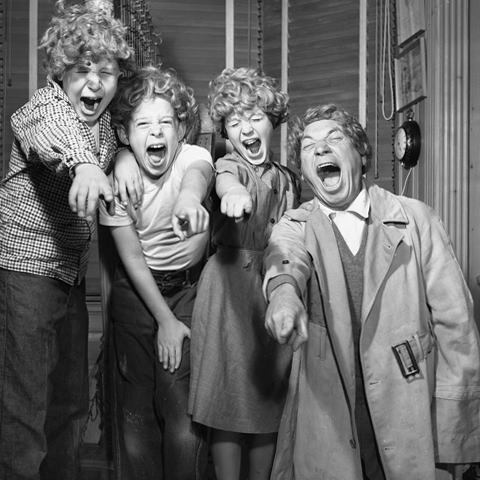 Harpo Marx was famously the silent Marx brother, the one in the curly red wig who got all of his laughs through silly facial expressions and extremely well-timed reaction shots. But it's no surprise to learn that Marx was just as funny verbally as his other brothers-- you just might not have expected to find that on his letterhead, of all things. Back in the day when letters were important and everyone had their own stationery, Marx had a letterhead that takes them all, a combination of self-aggrandizement and absurd modesty that might just be funnier than anything he actually wrote you. Check it out below, and click through for the larger version at Letterheady. 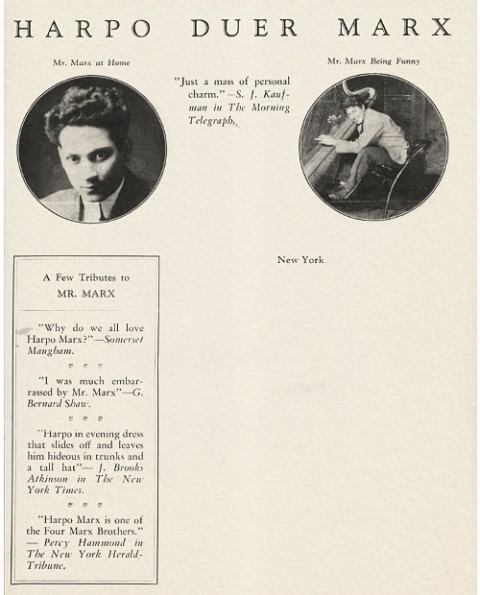 There's just so many things to enjoy here, from the incredibly dry "Mr. Marx at home" photo to the straightforward press quote, "Harpo Marx is one of the Four Marx Brothers." It makes you really appreciate that pretty much everyone we find funny these days, from Albert Brooks to Louis C.K., owes something to the Marx brothers, who were so funny in their time that they're still incredibly funny today. If you haven't gotten enough Harpo Marx appreciation for today, here's a photo nabbed from his Wikipedia page, of him and his three children enjoying a quiet evening at home in 1954. Oh, and one more thing-- Duck Soup is on Netflix Instant Watch right now. You know you want to drop everything you're doing and watch it.